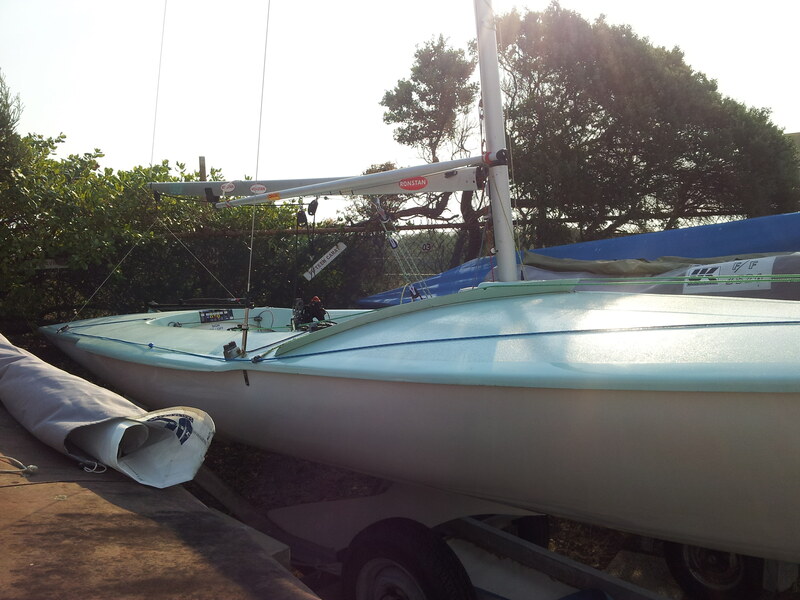 I think I started sailing, in a GP14 then an Enterprise, in 1964, perhaps 1965. As the sixties rolled by, I got into the racing idea and loved it. Mainly we just pointed in roughly the right direction and went out and enjoyed it. Then in the second half of the sixties, as a teenager, I needed heroes – John Oakley and David Hunt came along with their Flying Dutchman, Shadow, and swept all before them. That was really the first time that it occurred to me that calibration in the boat was important. They calibrated everything. In contemporary times, of course we all calibrate everything – repeatability of settings is vital. Our boats are covered with felt pen marks and bits of sticky backed measuring tape. I’ve never seen a good way to calibrate the kicker though – until now. On David Williamson’s FF they have a very neat solution. I’m hoping that David can send more photos but how simple, lightweight and neat is this?? Look very carefully at this photo (double click to enlarge will help!). In the forward Cockpit pic you may notice a ball under the boom- one shock cord end tied off to the mainsheet block bridle, the other (spectra side) runs to and through the vang point and down to the vang cascade double block. As the vang is adjusted- the ball moves along under the blue graduation marks. A very quick visual reference (rather than looking for a mark on a sheet) of just how much vang is on. Between the rear and central marks-when reaching, Between the central and front-both skipper & crew hiking upwind in fresh conditions. 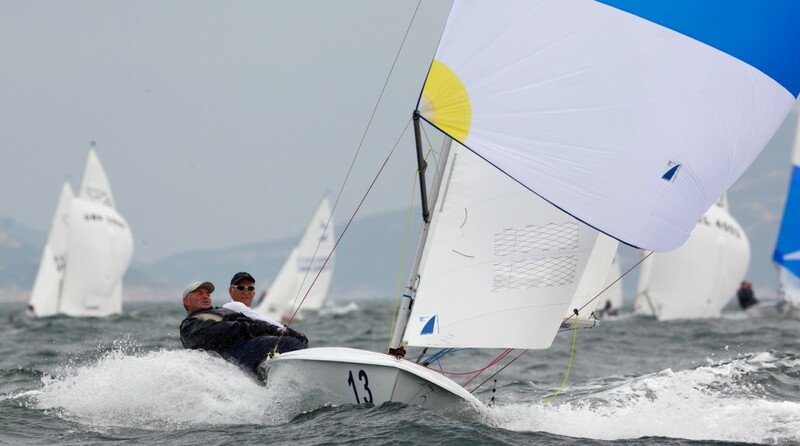 Forward of the front mark-upwind and extremely windy. 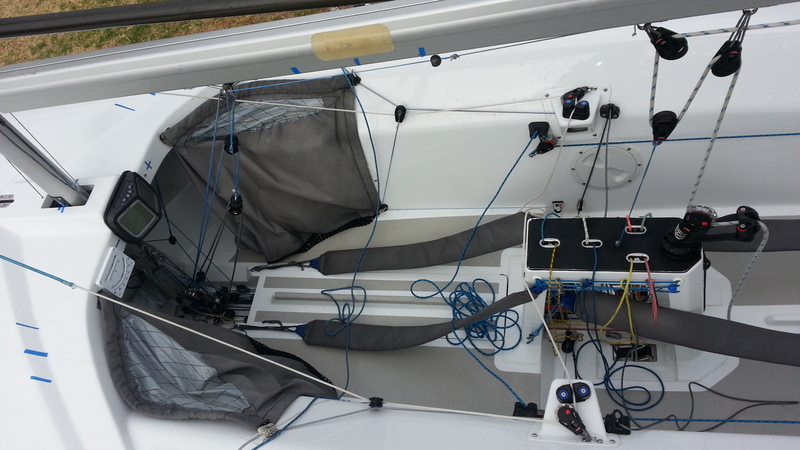 This entry was posted in Boat Fit-Out and tagged calibrated vang, david williamson, flying fifteen, kicker, kicking strap by flyingfifteen. Bookmark the permalink.